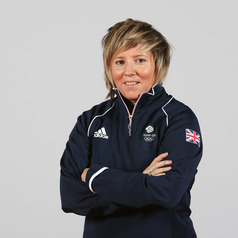 Dr Emma Kavanagh is a Senior Lecturer in Sports Psychology and Coaching Sciences and a BASES Accredited Performance Psychologist and Chartered Sport and Exercise Scientist, working with a number of athletes at National and International level. Her research interests are within the academic disciplines of psychology and sociology. Current projects include an examination of humanisation and dehumanisation in high performance sport and its impact on athlete wellbeing, understanding human rights in elite sport and an exploration of virtual and face-to-face maltreatment in high performance environments. Emma has recently been a member of the BASES athlete protection task group responsible for the development of safeguarding workshops which aim to educate existing and trainee sport and exercise scientists on issues of athlete safeguarding in the United Kingdom. She is also part of a number or international research networks which have a clear vision to enhance the climate and environment in which high-performance athletes function.